We firmly believe that children need to be happy in order to learn successfully. The curriculum for the early years and the whole school is presented in a warm and caring environment where staff are genuinely concerned for each individual child and where the general ethos of the whole school is displayed through gentle encouragement and sincere praise. We follow a broadly balanced and challenging curriculum that is based on the Government’s National Curriculum and Chris Quigley’s Essentials Curriculum. It is structured to provide a rich and varied programme of activities and learning experiences to meet the needs, interests and aspirations of all our children. 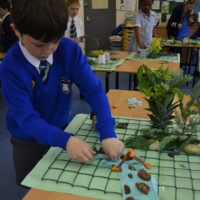 Our creative approach, using topics and specific subject teaching, stimulates learning and enables pupils to practice and use skills in a variety of ways. We are proactive in ensuring that learning is exciting and interactive, their learning is well supported and achievement and confidence are high. 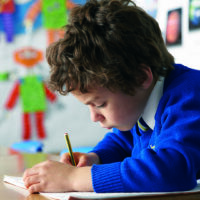 Using a variety of experiences and a wide range of literature, we aim to enable pupils to reach a high level of listening and understanding, to communicate with clarity and confidence using an extensive range of vocabulary, to enjoy reading and understand a range of texts and to express them in factual and creative writing. Real life practical activities, problem solving, investigations and ICT based learning are used to develop a sound knowledge and understanding of number, calculation, measurement, geometry and statistics. We develop children’s mathematical knowledge and skills so that they can use and apply them with confidence, understanding and pleasure in a variety of contexts across the curriculum and in the world around them. We encourage an enquiring mind and develop children’s scientific skills through first hand practical experiences and investigations. Pupils solve problems by making close observations, planning, predicting, fair testing and recording their findings in a systematic way. 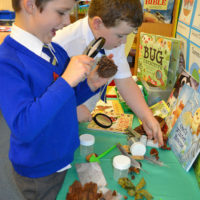 Our science programme is designed not just to develop skills and understanding but to develop a sense of excitement and curiosity about natural phenomena and foster responsible attitudes towards the environment and all living things. Computing helps children analyse and solve problems. It equips them with skills and understanding so that they become computer literate and can connect with others safely in our rapidly changing world. Through focused computing lessons and cross curricular themes children’s knowledge and skills are developed in range of meaningful contexts. History stimulates the pupils’ curiosity about the past in Britain and the wider world. Pupils consider how the past influences the present, as they do this pupils will develop a chronological framework for their knowledge of significant events. Pupils will develop research skills using a variety of sources of information to find clues and evidence and engage in active discussion – skills that will prepare them for adult life. Geography develops a knowledge of place and environments throughout the world, an understanding of maps, and a range of problem solving and investigative skills both in the classroom and on field trips. Art is for most a natural form of expression and a source of great pleasure. 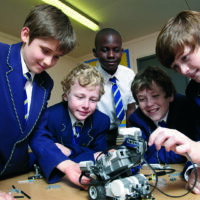 We encourage pupils to develop their creative and imaginative talents through learning skills and techniques using a variety of materials and tools. They also learn to appreciate the works of art and use artistic language to describe paintings, sculptures and other artefacts. We provide our pupils with opportunities to experiment and work with a variety of materials such as wood, clay, textiles, food and sheet materials. They are helped to develop skills that enable them to plan, design, make and evaluate. They are encouraged to design and make a variety of objects using a range of materials and techniques. Music is essentially a practical subject. The curriculum encourages children to sing, compose and use percussion instruments in order to develop their creative skills. 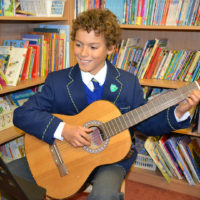 The school provides pupils with plenty of opportunities to enjoy music making through learning to play an instrument and singing with the choir. 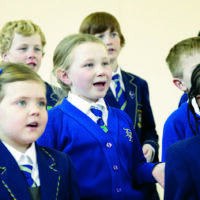 Children are given the opportunity to perform their music skills in assemblies, concerts and local music festivals. French is taught in Key Stage 2. The emphasis is on building up a vocabulary through listening and speaking, through role-play and games. We aim to foster a love for the language, which sets a sound base for later language learning. We provide a range of physical education experiences that include gymnastics, dance, athletics, weekly swimming and organised games to develop children’s physical skills and promote their well-being. We encourage children to co-operate with each other and develop their own skills and confidence. 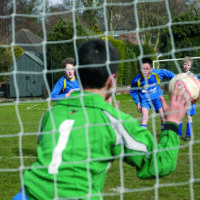 Pupils are given regular opportunities to use skills learnt in a range of competitive and friendly matches. All the children are taught to swim each Friday morning at the Meres Leisure Centre by qualified swimming instructors and leave the school as confident swimmers with a range of skills and awards. PSHE helps gives pupils the knowledge, skills and understanding they need to live confident, healthy, independent lives and to become informed, active and responsible citizens. They are encouraged to take part in a wide range of activities and in doing so recognise their own worth, work well with others and become increasingly responsible for their own learning and actions. They reflect on their experiences to understand how they are developing as well balanced individuals. The children will acquire knowledge and understanding of Christianity using a Bible based curriculum. By listening to different Bible stories and studying the lives of Bible characters, Christian morals and values will be promoted. Skills developed through the teaching of RE include developing self-awareness respect for all, open mindedness, appreciation and wonder. Children acquire an understanding of other principle religions and are encouraged to appreciate and respect the different beliefs, attitudes and values of others. We have a daily act of worship based on themes carefully chosen to help in the spiritual and moral development of the children. Our local church pastor and other visitors regularly contribute to our assemblies and their illustrations and stories prove to be very popular with the children.